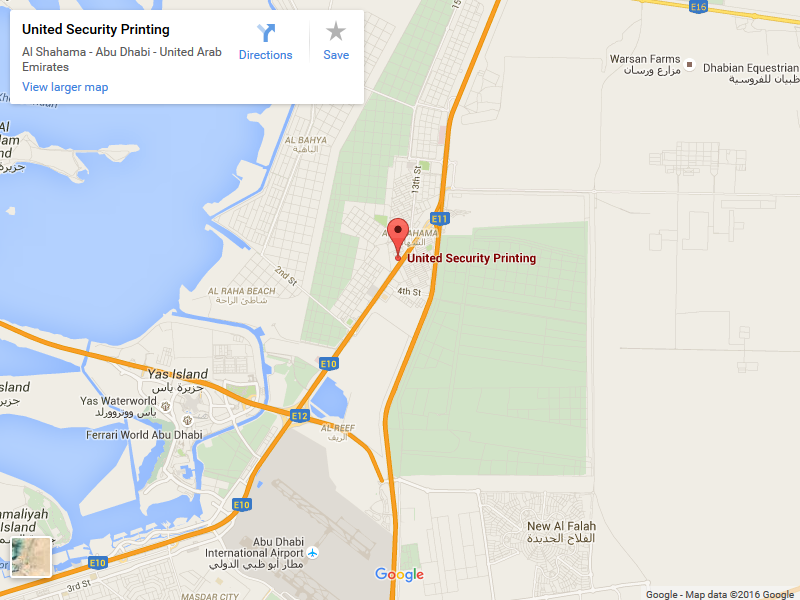 United Security Printing (USP) is the security printing division of United Printing and Publishing (UPP), working under the umbrella of Abu Dhabi Media. Abu Dhabi Media is one of the fastest growing multi-platform media and entertainment organizations in the Middle East, operating across the broadcast, publishing, and digital media sectors. The company manages over 20 market-leading brands that reach across the pan-Arab world. These include Abu Dhabi Al Oula TV, leading women’s magazine Zahrat Al Khaleej, an online platform anaZahra.com, as well as a suite of paid TV brands and digital entities such as ADMCSport.com. Its subsidiaries include Image Nation Abu Dhabi; LIVE, the most advanced outdoor broadcast and production company; and state-of-the-art printing facility, United Printing Press (UPP). In addition, the company partners with Universal Music Group and Sony Music Entertainment on VEVO, the premium online music video platform; and with National Geographic on National Geographic Abu Dhabi, the Arabic language television channel, and National Geographic Al Arabiya magazine. Known for its traditional products, including books, magazines, catalogues, directories, and fast turnaround of financial and commercial printing, United Printing and Publishing (UPP) is one of the largest printing companies in the UAE. With over 600 staff, and the latest pre-press, printing and finishing lines, UPP are ahead of the curve, catering to every commercial and publishing need in the region. © USP All Rights Reserved 2019.